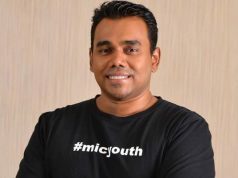 Kuala Lumpur – The Indians, wherever they are, whichever part of the world they come from, ardently follow ancient Vedic Astrology based on Hinduism, that has been in practice for thousands of years. 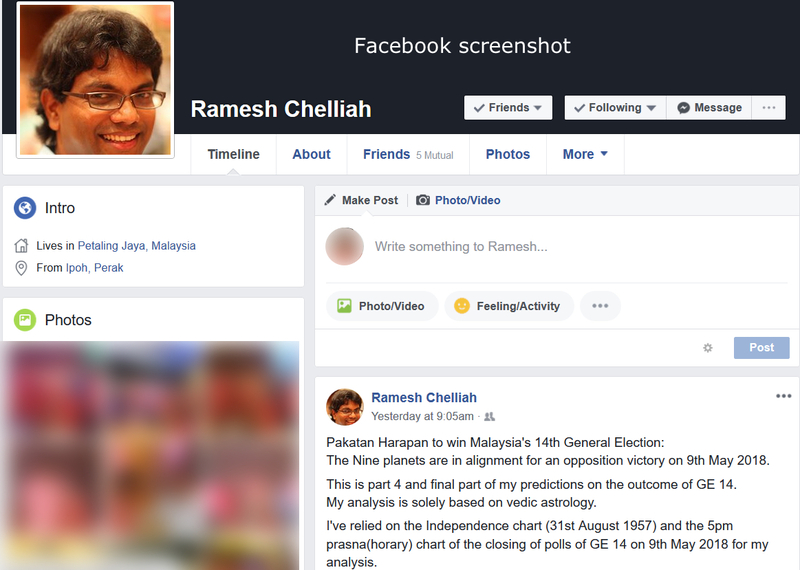 A comment by one Ramesh Chelliah, from Petaling Jaya, posted on his facebook page on Monday (7 May 2018) on the outcome of GE-14 has since gone viral. We reproduce here the full text of his comments. 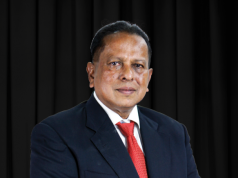 We would like to state categorically, the comments are entirely that of Ramesh Chelliah and we, selliyal.com do not take responsibility for the accuracy or veracity of facts and/or information stated therein and neither do we support or share his views. “The Nine planets are in alignment for an opposition victory on 9th May 2018. This is part 4 and final part of my predictions on the outcome of GE 14. My analysis is solely based on Vedic astrology. I’ve relied on the Independence chart (31st August 1957) and the 5 pm prasna (horary) chart of the closing of polls of GE 14 on 9th May 2018 for my analysis. The general election is now two days (this posting was on 7th May) away. Barisan Nasional will win 38% to 42% of the popular vote in GE 14. 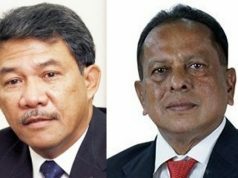 Pakatan Harapan and their ally Warisan in Sabah will win at least 55% of the popular vote in GE 14. The opposition will also win the majority of Parliament seats for the first time. A point of concern is the transit of Mercury,the all important planet for elections. At 8.55 pm Kuala Lumpur time on the 9th of May,Mercury ingresses from the last degree of Meena (Pisces) to the first degree of Mesha (Aries). This could bring about uncertainty for a period of 24 to 48 hours. More so with the powerful square of Mars on Mercury beginning at 8.55 pm Kuala Lumpur time on 9th May . The nine planets are indicating that change of government is on the cards. Next articleதேர்தல்-14: யாருக்கு ஆதரவு? தொழிற்சங்கக் காங்கிரசில் தலைமைத்துவ மோதல்!